Zentangle is a new and meditative art form for the non-artist and artist alike. Taught one stroke at a time, anyone can learn this unique drawing technique. Learn how to draw “seemingly” complicated patterns and create beautiful, unique finished pieces of art. Learning to tangle as a shared activity can bring parent and child together in an experience with lifelong possibilities for creating, sharing and appreciating art. Come experience a connection with your child while learning this new and creative art form. Materials include pens, pencil, shader, and tiles. This is a two and a half hour workshop, $29 pp including materials. Zentangle is a new and meditative art form for the non-artist and artist alike. Taught one stroke at a time, anyone can learn this unique drawing technique. Spend a day learning how to draw “seemingly” complicated patterns and create beautiful, finished pieces of art. Fun, easy, meditative and fascinating are just some of the descriptions that come to mind. Come join the fun and discover the benefits of Zentangle! Materials include pens, pencil, shader, and tiles. This is a four hour workshop, $59 pp including materials. Plans are being made for advanced students. Contact Diane at timetotangle@comcast.net to receive an email when dates and times are set. 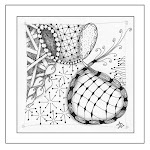 Visit www.zentangle.com or www.timetotangle.blogspot.com for more info.